Oooh! I’m pinning this one. These couldn’t be cuter. 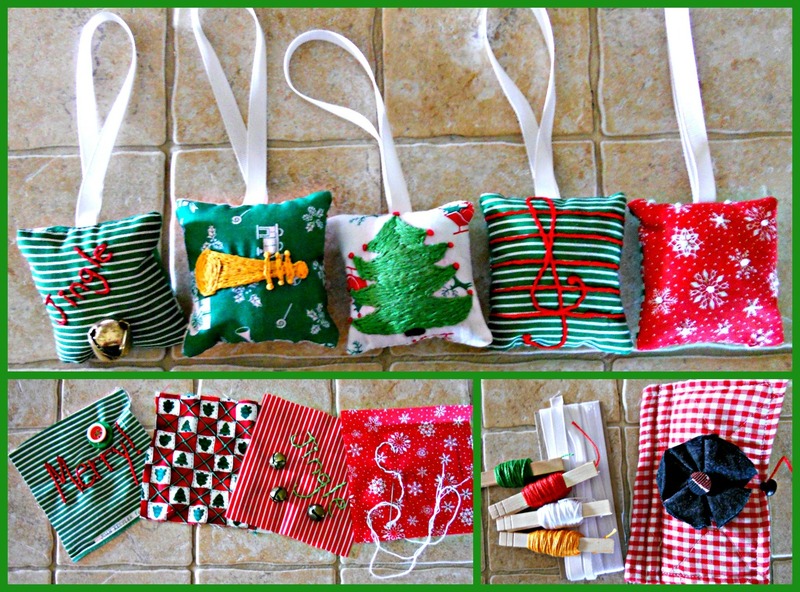 I love those and have lots of Christmas fabric in storage to use. Soft ornaments are especially good when you have small children around the tree or pets. I always had the soft ornaments on the lower shelves so the little ones could touch or the animals could sit under without fear of being hurt. I’ll try a few when I get moved in and my sewing room set up again. They make me smile and inspire me. Thank you. Really sweet. Have you tried other shapes? Those pillows are sooooo cute!! What a delightful project. You always find cool ways to use your stash! And a-la-mode too. Those are so cute! Will definitely have to share with my sister! She would love these!! Great idea, they’re really cute. A few years ago I made sets of pillow ornaments with cross stitch patterns of Santa Clauses, the kids love them. I might try these too to add to a few spots around my home this holiday. Love the mini pillows, really nice! I love these, they’re fantastic! I esp. loves the ones with the bells on the outside, what a great idea. Those are cute, what a nice idea for a home made tree decorations. This is exactly what I needed to see. I picked up a bunch of scrap Xmas fabric last year. I’ve been planning to make some into reusable gift tags, but this ornament idea is great too! These are absolutely adorable! A Christmas must have! Thanks for sharing.